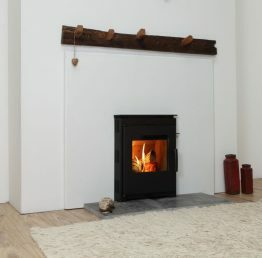 The Burcott from Mendip Stoves is designed to fit directly into a standard British fireplace opening (16" x 22") without removal of the fireback, making installation quick and easy. 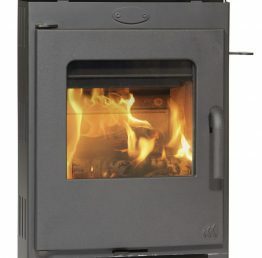 The Burcott wood burning convection stove may be small but it still features all the most advanced features you could require; a preheated secondary air wash to help keep your glass clean, a tertiary air system for secondary combustion and a solid 12mm thick steel grate for multi fuel burning. 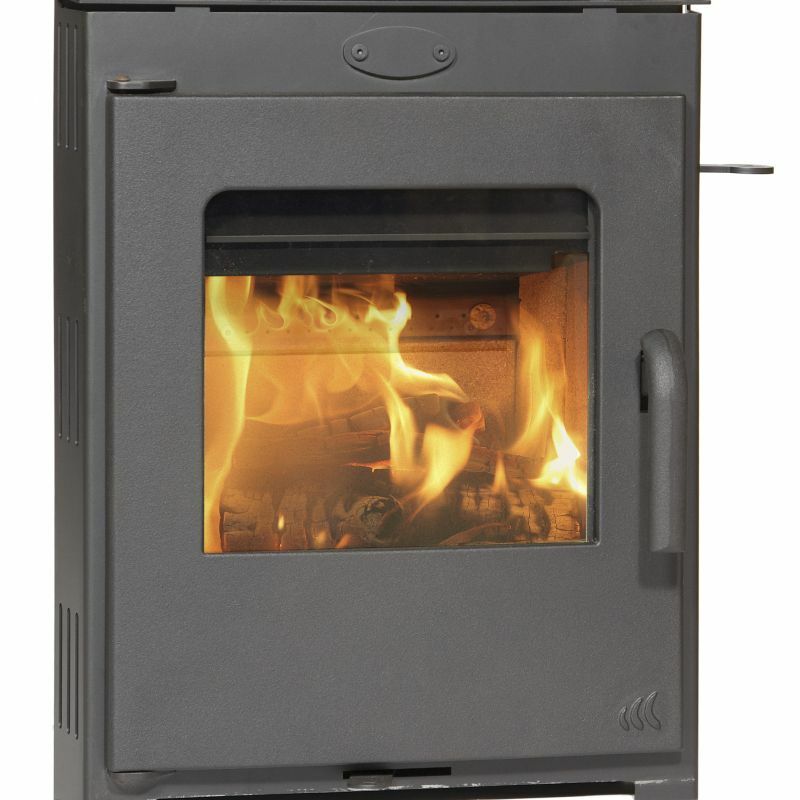 The Burcott also features the distinctive cast iron door and handle keeping it in keeping with the rest of the Mendip Range. As well as featuring the best in technology its timeless simple design and large glass viewing area mean it will never look out of place, however, your decor changes.